CHICAGO – Since the Golden Age of cinema, theaters have tried countlessly to deliver up big budget films. Summer is here and the public is showing that they are cooling off these blockbusters, no longer fooled by the thought that cost equates to quality. “War for the Planet of the Apes” shows us that blockbusters may still be redeemed by channeling some Old Hollywood magic. 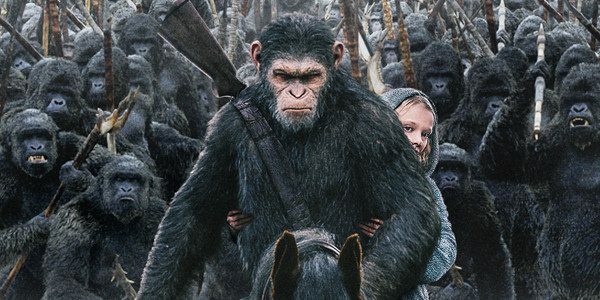 There is a nostalgic quality that Matt Reeves injects into the “Planet of the Apes” mythos in this prequel trilogy, but it becomes much more apparent in the closing entry that is “War for the Planet of the Apes”. Reeves borrows elements, both cinematic and narrative, from the big budget Hollywood films of old and gives the film a well-earned sense of grandeur. Together, screenwriters Mark Bomback and Matt Reeves turn this tale about apes into an epic of “King Kong” proportions. The story is one we have encountered in nearly every possible genre throughout the entire lifetime of film. It is a tale of survival, revenge, redemption, and war. The only difference is that it is a story about the survival of a species that is not the human race; the more interesting part being that we are rooting for the collapse of humanity and the perseverance of a group that is considered our evolutionary cousins. “War of the Planet of the Apes” is a genre chameleon that is always adapting to new story lines or plot twists in order to keep the viewer in a constant state of attention, never allowing them to feel the over 2-hour runtime. As we travel through the different genres, the film turns into a tour of thematic elements. It starts off as a New World story, showing the humans as invaders and evoking heavy comparisons to American Colonialism. The film quickly shifts into a revenge film with our protagonists on horseback as they look for justice, which is essentially the backbone of every Western story. Scattered throughout the film, there are flourishes of 80’s war film influences, with the most obvious being “Apocalypse Now” (including the clever, in-film pun “Ape-pocalypse Now”). These themes have skillfully coalesced, but in the end, they are merely used to support the film’s all-encompassing religious comparison to the plight of the Jews.